Flicking through April's Easy Living Magazine I found this perfume sample on a page. 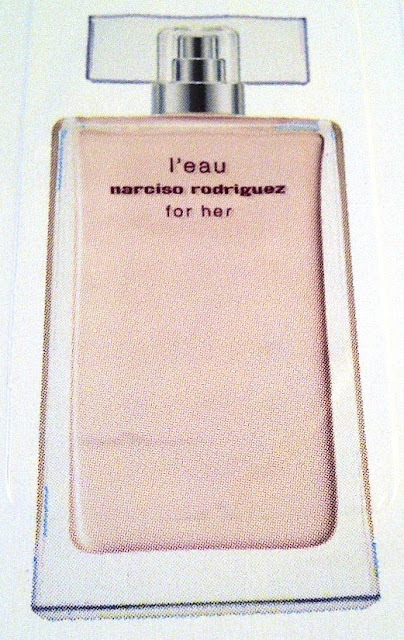 I love the original Narciso Rodriguez EDP and from the name L'eau, I was expecting this to be a lighter Summer version of this scent. 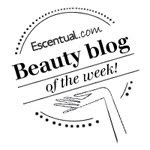 Narciso Rodriguez For Her L'eau is the newest EDT from Narciso Rodriguez, described as a floral fragrance - A heart of musk enhanced by a soft yet bursting floral opening.. This reminds me a lot of Issey Mayake's L'eau d'Issey from the early 90's. As ever, curious to see why I was reminded of it and to confirm my feelings, I went and had a look and found that they share many of the same notes in their composition. Narciso Rodriguez For Her L'eau is an extremely fresh and pleasantly light floral fragrance. Once I had opened the sample the magazine smelt so fabulous I couldn't help keep returning to smell it and on my skin it retains that lovely sparkling freshness. I like this a lot. Exactly... It has the same beautiful aura than Issey. I was looking for something similar but in a modern way and this is it.